Description: Savannah: the name itself is evocative of a lovely city with architectural interest and preservation of classic historical lifestyles. This cut pile carpet has luxurious texture and distinctive color that create a natural and fresh ambience in residential settings. 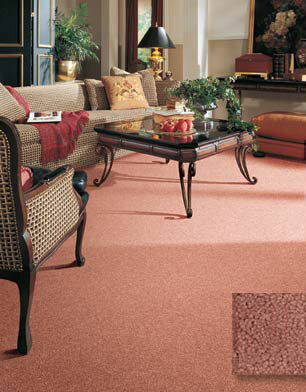 Available in 40 colors, Savannah suggests richness of color engaging both the warm and cool tones. Crafted of 100% DuPont Grand Luxura™ nylon, Savannah provides outstanding appearance and superior durability in residential settings.